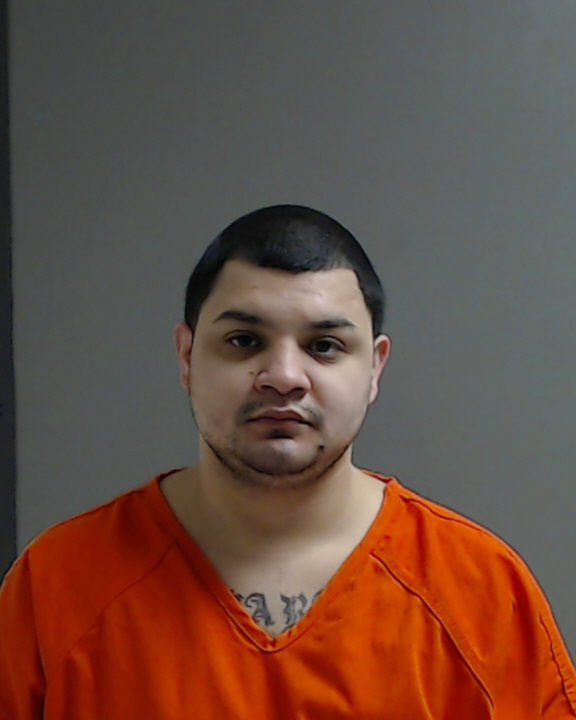 EDINBURG — After a monthlong hiatus, the trial resumed Monday in a capital murder case stemming from the discovery of two burned bodies found in a car near Delta Lake three years ago. Hector Javier Alvarado, 26, is charged with one count of capital murder of multiple persons and two counts of capital murder by terroristic threat in the deaths of Lazaro Alejandro Martinez Esparza, 26, and Jose Luis Salinas Torres, 23, whose charred bodies were discovered May 1, 2015, in the trunk of a Volkswagen Jetta that had been set on fire. Alvarado is the first of three co-defendants to face a jury, and his trial began last month, before being delayed for five weeks after the judge learned the state had failed to provide the defense with evidence. If convicted, he faces life in prison without parole. The Hidalgo County Sheriff’s Office lead investigator in the case took the stand Monday to discuss two sworn statements Alvarado provided, the second ultimately implicating himself in the crime. Alvarado initially told the investigator May 12, 2015, that he only knew Esparza, who he said was involved with transporting and selling drugs, but that he had no knowledge of why he’d been killed. Yet in late September of that year, Alvarado said he had actually been present during their murders. After the men arrived at a rural Mission home where the deal was to take place, Alvarado — who waived his right to remain silent — told the investigator he saw Salinas and Palacios shoot Esparza and Torres and put their bodies in the Jetta’s trunk. His burns were still visible in photos shown to the jury that were taken following his Sept. 24, 2015 arrest. Alvarado told the investigator Salinas and Palacios turned their weapons on him and threatened to “go after” his family and children if he came forward about the crime. The state maintains, however, that Alvarado had a larger role than that to which he confessed, telling jurors in their opening statement that he conspired, aided and abetted in the murders. Alvarado’s girlfriend at the time of the crime testified on the trial’s first day that he told her he had bashed in Esparza’s head, despite him telling the investigator this had been Palacios’ doing. Defense attorney O. Rene Flores questioned the investigator as to whether Alvarado was properly given his Miranda warnings prior to the interview, bringing to their attention that the investigator’s interview notes were lost at some point in the investigation. The interview was conducted before state law mandated that investigators record all interviews. Flores also emphasized that despite the alleged confession, no physical evidence “affirmatively linked” his client to the crime. The trial is expected to finish by the close of the week, with the state’s final witnesses likely taking the stand Tuesday.